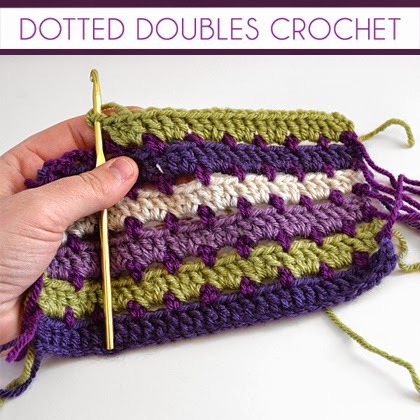 Looking for some great color and interesting pattern without lots of crochet skills? Check out the dotted doubles. Simple, pretty and wonderful!